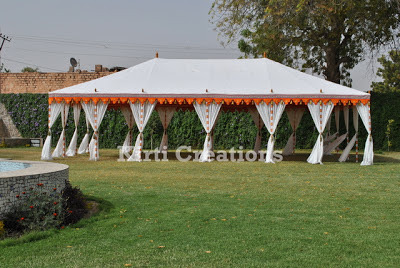 The artistic designs and patterns of traditional maharaja tents reflect the culture of the Indian. An specially designed grand maharaja tent has all sides open. This tent is waterproof and can be manufactured easily. The design of this tent's curtain fabric are so eye-catching and top of the raj tent are so high.